Coretta Scott King Honor winner Brenda Woods’ moving, uplifting story of a girl finally meeting the African American side of her family explores racism and how it feels to be biracial, and celebrates families of all kinds. Violet is a smart, funny, brown-eyed, brown-haired girl in a family of blonds. Her mom is white, and her dad, who died before she was born, was black. She attends a mostly white school where she sometimes feels like a brown leaf on a pile of snow. She’s tired of people asking if she’s adopted. Now that Violet’s eleven, she decides it’s time to learn about her African American heritage. And despite getting off to a rocky start trying to reclaim her dad’s side of the family, she can feel her confidence growing as the puzzle pieces of her life finally start coming together. 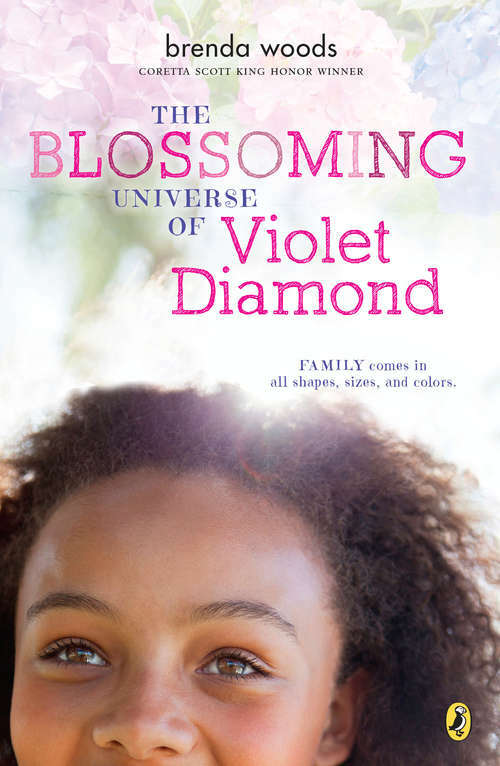 Readers will cheer for Violet, sharing her joy as she discovers her roots. .